We are an up and coming practice that procures most of our work through our growing reputation and repeat business from an existing Client base. 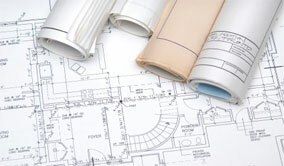 We pride ourselves on specialising in a variety of different disciplines to cater for all our Client’s property needs. With a number of years of design experience within the practice, we offer a comprehensive design package to suit Client requirements. We offer initial advice, guidance and consultation, through to the completion of As Built drawings, and take pride in providing full design services required to complete your project. We produce Interim, Terminal and Final Schedules of Dilapidations for Landlords, or negotiate claims served upon Tenants, to ensure our Clients receive fair and reasonable settlements. We also offer advice and guidance to Landlords and Tenants on their potential dilapidations claim/liability at lease expiry, in the form of a Dilapidations Assessment. Whether our Client’s require minor internal alterations, or a large scale refurbishment, we offer a full range of services from inception of Client brief, to production of As Built drawings, ensuring efficient and cost effective management of each project. Focus Property Consultancy offer a diverse range of Building Surveyor services – to discuss your requirements today, please get in touch with us.